Antarctica’s only multi-stage race -- RacingThePlanet’s The Last Desert -- concluded today. Hong Kong ultrarunner Wong Ho Chung, 31, won the race completing 250km over five stages in his first race in the snow! This is Wong’s third win this year -- the physical fitness instructor for Hong Kong’s Fire Services Department also won the Gobi March (Mongolia) and the Atacama Crossing (Chile). Combined with his second-place finish in the Namib Race (Namibia) 2018, this makes Wong the 4 Deserts Ultramarathon Series Champion for 2018! In the women’s competition, Canadian Isabelle Sauve, 42, won both The Last Desert and the 4 Deserts Ultramarathon Series ladies’ championship. Sauve, a police officer with the Ontario Provincial Police, was the leading lady in both the Atacama Crossing (Chile) 2016 and this year’s Namib Race, while she finished second lady at the Gobi March (Mongolia) 2018. Wong, who completed 251.28km over the course of the race, was followed across the finish line by Romania’s Iulian Rotariu, who completed 244.48km in the same time. Third overall was France’s Christophe Santini with 217.2km completed. Belgium’s Ann Verhaeghe was second in the ladies’ competition with 175.06km completed – 20km behind the leader. The race for 3rd place was exciting as three of the women were all within 10 km of the podium, but was won by Australian Jacqueline Bell, who completed 152.06km. At age 23, Bell is now the youngest female competitor to have completed the 4 Deserts Grand Slam -- running all four of the races in the 4 Deserts Ultramarathon Series in one calendar year. Bell is one of 12 competitors who completed this year’s Grand Slam. The final fifth stage of the race took place on Mikkelsen Harbour. The short stage was largely ceremonial with Wong having reached the 250km distance the day before. Sauve, too, proved to be unbeatable having led the competition throughout all five stages, and the winners and finishers were awarded their race medals surrounded by penguin colonies and with an avalanche in the background. The decisive Stage 4 took place in Dorian Bay. High winds and fog delayed the start, but once competitors were able to disembark The Last Desert expedition ship, they had nearly seven hours of running under rain, snow and high winds. Wong ran 67.2km to reach the 250km mark just before the stage finished, with rival Rotariu completing 62.4km putting him in 2nd place, just 7km behind Wong. “I knew there was a good chance Stage 4 would be the last day so I really wanted to do my best and reach 250km. I had 7 hours to run 67km. I wanted to get it done and I knew everyone was cheering for me. I felt appreciated and motivated by the others runners and staff. I reached the 250km goal and it was perfect! I want to say a big thank you to everyone that has supported me,” says Wong Ho Chung. Rebecca Walker, an emergency physician, guided blind competitor Vladmi Virgilio Dos Santos throughout the race. 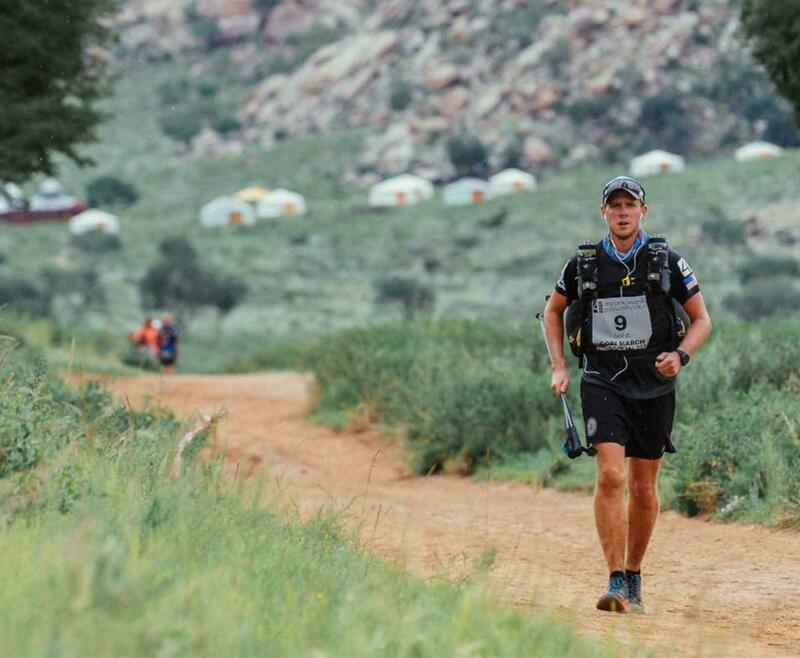 Walker has both been a competitor and part of RacingThePlanet’s medical team, while Dos Santos is an experienced marathoner and ultramarathoner who joined the 4 Deserts Club as he completed his sixth RacingThePlanet / 4 Deserts Ultramarathon Series race. It was Walker’s first time guiding Dos Santos, with the pair having met at the Atacama Crossing back in 2014. Walker herself has also completed a number of RacingThePlanet / 4 Deserts Ultramarathons. There were also plenty of celebrations for competitor Camel Fung - the 65-year old Fung is an amputee having lost his left leg in a road accident 30 years ago. The Last Desert was Fung’s third 4 Deserts Ultramarathon, having previously completed the Atacama Crossing (Chile) 2015 and the Gobi March (2016). Fung’s wife Chong Bing Ying and Raymond Chak, Fung’s loyal friend and supporter, have completed these races with him. Chak’s finish saw him join the 4 Deserts Club. Together the three competitors ran to support local Hong Kong charity Zheng Sheng College and Youth Run from RunOurCity. History was made by Ramiro Alfaro from Guatemala, Iulian Rotariu and Andrei Gligor from Romania, William Chew from Malaysia, Ann Verhaeghe, Joost Muyelle and Kurt Masellis from Belgium, Hichame Moubarak living in Qatar, Annastiina Hintsa from Finland and Bart Van Schilt from Holland as it was the first time these countries were represented at The Last Desert (Antarctica) and the 4 Deserts Club! Having experienced a week of calm and rough seas, challenging race conditions including blizzards and high winds, but also sunshine and blue skies, competitors posed for photographs with their medals prior to leaving Antarctica behind and return back to their home countries having being part of an unforgettable race full of memories that will last a lifetime. As well as our social media - Facebook, Twitter, YouTube and Instagram. The Last Desert (Antarctica) is part of RacingThePlanet’s 4 Deserts Ultramarathon Series which is the most prestigious footrace series in the world, ranked by TIME Magazine as the “World’s Top Endurance Races” and profiled on BBC, ESPN, NatGeo, CNN, ABC, and NBC Sports. A unique collection of world-class races that take place over 7 days and 250 kilometres / 155 miles in the largest and most forbidding deserts on the planet. Elite and non-elite individuals and teams race self-supported in the most inhospitable climates and formidable landscapes, they must carry all their own equipment and food but are provided with drinking water and a place in a tent each night to rest. 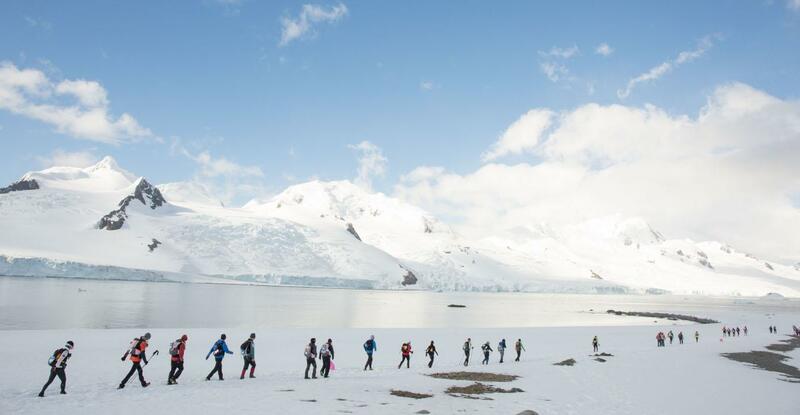 RacingThePlanet’s The Last Desert (Antarctica) 2018 gets underway today when competitors from 29 countries are set to begin Antarctica’s only multi-stage footrace. Competitors, volunteers and organisers will depart Ushuaia, Argentina to sail across the infamous Drake Passage before embarking on a week-long, six stage race on several locations in and around the Antarctic Peninsula and Mainland. The coldest of the four week-long races that make up the 4 Deserts Ultramarathon Series, competitors have qualified for The Last Desert by having completed a minimum of two previous races in the series, which also includes the Gobi March (Mongolia), the Namib Race (Namibia) and the Atacama Crossing (Chile). With temperatures down to -20?, competitors are forced to contend with severe weather conditions as well as the unpredictability of the daily stage lengths and start times, which are dictated by environmental conditions. The eighth edition of The Last Desert is proving to be one of the race’s most competitive and diverse to-date. Nearly one-quarter of this edition’s competitors are women, while 68% per cent of all competitors will join the prestigious 4 Deserts Club upon completion. The race will also feature a number of competitors representing new countries -- while Australia, Hong Kong, the United States and South Korea are the most represented countries, Malaysia, Belgium, Romania, Finland, Guatemala and the Netherlands are nationalities that will be represented for the first time in both Antarctica as well as in the 4 Deserts Club. A further 12 competitors are set to complete the 4 Deserts Grand Slam (all races in the 4 Deserts Ultramarathons in one calendar year) once they cross the finish line in early December. Having completed 750 km thus far, 4 Deserts Grand Slam contenders including: Australian Jacque Bell who, at 23, is set to become the youngest female to complete the 4 Deserts Grand Slam; Malaysian William Chew; South Korean competitors Hongseok Choi, Heogwak Cheongsin an Dong Hyeon Yoo; Briton Leon Clarance; Tommy Jacobsen of Denmark; Hichame Moubarak who is representing Qatar and France, as well as Bart Van Schilt, who represents Belgium and the Netherlands. Marek Rybiec represents Poland and Takuya Wakoaka Japan, while Wong Ho Chung flies the flag for Hong Kong and is on course to win the overall 4 Deserts Championship. While this year’s youngest competitor is just 21, this year’s oldest competitor is 66. Camel Fung of Hong Kong is not only the oldest competitor in the race, but also the first amputee to join The Last Desert. Fung is part of the team 5 Legs Never Quit, which also includes Fung’s wife BY Cheong as well as Raymond Chak. Also competing at The Last Desert is Vladmi dos Santos of Brazil. Dos Santos is blind and is competing in his sixth 4 Deserts / RacingThePlanet Ultramarathon. In Antarctica, he’ll be looking to become the second blind competitor to finish The Last Desert. Dos Santos will be guided by Stanford University medical doctor, Dr. Rebecca Walker, who has been both a competitor herself as well as part of the race’s medical team. Stage 1 of The Last Desert is set for Monday, November 26. RacingThePlanet’s 4 Deserts Ultramarathon Series is the most prestigious footrace series in the world, ranked by TIME Magazine as the “World’s Top Endurance Races” and profiled on BBC, ESPN, NatGeo, CNN, ABC, and NBC Sports. The unique collection of world-class races takes place over seven days and 250 kilometers (155 miles) in the largest and most forbidding deserts on the planet including the driest, windiest, oldest, and coldest deserts on earth; four hostile environments on four different continents. Racers of all levels, ethnicities and ages, from 19 to 73, must go beyond the limits of their physical and mental endurance racing self-supported in the most inhospitable climates and formidable landscapes, carrying their equipment and food on their backs; provided with only water and a place in a tent each night. They are supported by the world’s most skilled professionals, wilderness medical doctors, research fellows and volunteers. Racers from 100 nations have competed over the last 15 years, including Afghanistan and The Faroe Islands, mingling around RacingThePlanet’s signature campfires with a shared commitment to adventure, authenticity and a refusal to obey limits. Racers who complete all 4 Deserts enter the elite “4 Deserts Club”. Racers who complete all 4 Deserts in the same year are part of the ultra-elite “4 Deserts Grand Slam Club”. The series comprises the Atacama Crossing in Chile, Gobi March in Mongolia, Namib Race in Namibia and The Last Desert in Antarctica. They will also be hoping for a chance to be crowned the 4 Deserts Champion 2018. The racer who has the lowest cumulative rank from each of the 4 Deserts Ultramarathons when they complete The Last Desert is crowned the 4 Deserts Champion. Wong’s recent win in the Atacama Crossing, coupled with a win at the Gobi March and 2nd place at the Namib Race earlier this year, gives him 4 points and puts him as the favourite to become the 4 Deserts Champion 2018 going into the race in Antarctica. His 2nd place rival in northern Chile, Wakaoka from Japan, is his closest competitor for the title. Hong Kong ultrarunner Wong Ho Chung, 31, has won the Gobi March 2018 in Mongolia, his first win in the 4 Deserts Series. Wong, a physical fitness instructor for Hong Kong’s Fire Services Department, crossed the finish line of the 250-km multi-stage race in 20 hours and 34 minutes. He finished 58 minutes ahead of Japan’s Wataru Iino, 38. Fellow Japanese competitor Takuya Wakaoka, 34, was the third fastest runner in this year’s 15th edition of the Gobi March. This is the first time for an all Asian podium at a RacingThePlanet / 4 Deserts Race. San Francisco-based German runner Angela Zaeh, 38, was the fastest of the female competitors, finishing in a time of 25 hours and 10 minutes, which gave her an overall finishing position of fifth, just behind Briton William McMillan, 35. Second in the ladies’ competition was Canadian Isabelle Sauve, 42, with Japan’s Chizuru Inoue, 45, finishing third. This race was notable for 33% of the field being women which is particularly high in this sport. First held in 2003, the annual Gobi March celebrated its 15th edition by heading to Mongolia. The six-stage race began on July 29 and over the past week, more than 200 competitors from 50 countries followed the footsteps of Genghis Khan in the beautiful Mongolian wilderness. Today’s final Stage 6 saw competitors finish the race in Karakorum, the 13th and 14th century capital of Genghis Khan’s Empire and now a UNESCO Heritage Site. In addition to the overall and women’s race, the Gobi March (Mongolia) also hosted a team competition. Hong Kong’s Never Give Up Team comprised of Chan Chung-Yin (Edward), Alice Lee and Lee’s 19-year-old autistic son Celvin Tsang took home team honours, impressing the entire camp with their teamwork and tenacity. Tsang was also the youngest competitor in the Gobi March, while the race also featured two competitors who were in their 70s -- 73-year old Yoshiaki Ishihara of Japan, an original member of the 4 Deserts Club who completed his 16th RacingThePlanet / 4 Deserts Race at the Gobi March 2018 and 75-year old Lee Moo Woong of the South Korea, who, like Ishihara, is a member of the 4 Deserts Club and in Mongolia completed his 11th RacingThePlanet / 4 Deserts Race. Combined with his second-place finish in the Namib Race in Namibia earlier this year, Wong’s Gobi March victory puts him in strong contention to become the 4 Deserts Champion for 2018 – although Iino and Wakaoka will also be in Antarctica for The Last Desert vying for a chance at the title. Wong is also one of 14 competitors attempting the 4 Deserts Grand Slam -- completing the Namib Race, the Gobi March, the Atacama Crossing in Chile and The Last Desert in Antarctica within the same calendar year -- and is sure to be among the favourites for September’s Atacama Crossing. During the Gobi March (Mongolia) 2018, competitors have been challenged on a course that has taken them from the race start in the ruins of Khar Bukhiin Balgas Palace through Mongolia’s vast and varying terrain, traversing grassland, fields, sand dunes, rocky mountains, gravel tracks, river crossings, climbs and descents. A self-supported race where competitors carry or wear everything they need for the race with the exception of water and a place in a tent or traditional Mongolian Ger, the competitors also encountered weather challenges throughout the race, as well as The Long March, the much-anticipated 70-km / 50 mile journey from the Mongolian steppe to the UNESCO listed Orkhon Valley area. [26 June 2018, Hong Kong] - Dean Karnazes, winner of the Atacama Crossing in 2008 and the first person to complete the 4 Deserts Grand Slam. Juan Vicente Garcia Beneito, the only man to have won all 4 Deserts Ultramarathons in the same year. Kevin Lin, who met his Running the Sahara teammates (Charlie Engle and Ray Zahab) while winning the Atacama Crossing 2004. All three will be competing in next year’s 4 Deserts Ultramarathon, the Namib Race (Namibia) 2019. 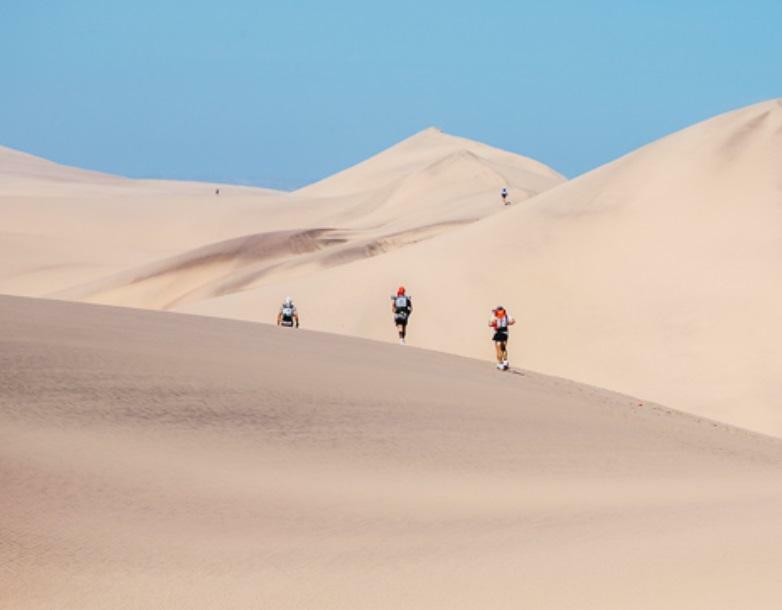 Previously called the Sahara Race (Namibia), the Namib Race begins on 28 April 2019. Karnazes, Garcia Beneito and Lin are just some of the 20 past champions who have so far confirmed they’ll be a part of RacingThePlanet’s first-ever Race of Champions which will be hosted as part of the Namib Race 2019. Former winners from each race in the 4 Deserts Ultramarathon Series -- the Atacama Crossing, the Gobi March, the Namib Race and The Last Desert, as well as the RacingThePlanet Ultramarathon, will join an international group of competitors for a unique edition of the Namib Race. While the race brings together the past champions, it is also very much dedicated to any first time and returning RacingThePlanet competitors. Nearly 200 competitors are expected to take part. The “race within a race” will be a celebration of the more than 60 multi-stage footraces hosted by RacingThePlanet since the inaugural Gobi March in 2003, and a further 15 years of friendships shared by the RacingThePlanet community. An early favourite, not only for the Race of Champions but the overall Namib Race 2019, is sure to be Garcia Beneito. Having won all 4 Deserts Ultramarathons in 2012, Garcia Beneito also holds several 4 Deserts records: he holds the record (jointly, with Ryan Sandes) for the Atacama Crossing and is the outright record holder for the Gobi March. Sandy Suckling is the second-fastest woman to have completed the Atacama Crossing, earning that honour in 2012. Suckling, who is part of the 4 Deserts Club, has raced in seven RacingThePlanet and 4 Deserts Ultramarathons and the Race of Champions marks her eighth. Suckling likened the Race of Champions to a reunion, saying: “It sounds like a big family catch up next year in Namibia so I would love to come.” Suckling is always a strong competitor -- she was the third quickest female in the Sahara Race (Namibia) 2018 -- and is sure to be among the competitors to watch next year. As much as there will be some truly competitive racing, for many returning champions this is more about the reunion, returning to the solitude of the desert and enjoying camp fires in the true spirit of the RacingThePlanet races with new and old friends. Lucy Brooks, who was the female winner of the Gobi March 2007 and the Gobi March’s second-fastest female, is one of them; since the birth of her son in 2011 she has only run shorter distances. Although she is beyond excited to be returning to the desert, she says: “My goal this time is simply to get myself to the finish line in one piece - to finish and enjoy myself. For me, at this point in time, that will be as much of, if not more than, an achievement as winning was in the past. Whilst not being able to train to be competitive will feel sad and hard, I'm really looking forward to being able to have a more relaxed approach to the run, to running as part of the pack, meeting more people along the way and having the time to soak up the beautiful country.” Lucy’s blog tells more about her anticipation as she prepares for the race. She’ll be joined by Gobi March champions including Diana Hogan-Murphy (2009), Denvy Lo (2010) and Clare Thompson (2017). As more former champions confirm their attendance for the Race of Champions, one thing’s for certain - this is a race that’s not to be missed! For those who are taking part their first RacingThePlanet race, this is a great opportunity to meet the legends and learn from them. [8 June 2018, Hong Kong] – It has been confirmed that the National Broadcasting Corporation of Japan, NHK, will film the Gobi March (Mongolia) 2018 for their popular TV Series, GREAT RACES. The series covers four extremely challenging races each year. The races that are selected are unique races which transform people's lives. The races that have been featured on the popular television programme include the Atacama Crossing 2011, RacingThePlanet: Madagascar 2014, the Sahara Race (Namibia) 2016, a mountain bike extreme race in Australia, the Yukon Arctic Ultra and Tor des Geants. The Gobi March (Mongolia) is part of the prestigious 4 Deserts Ultramarathon Series which will stage its 58th race this July 2018 at the Gobi March. At the Gobi March (Mongolia), the 13-person NHK crew will focus on top contenders as well as some of the more unique human interest stories gleaned from the competitors from more than 40 countries. In particular, NHK will be following leading competitors Wataru Iino of Japan who came in 2nd just behind Ryan Sandes of South Africa in RacingThePlanet: Madagascar, won the Sahara Race (Namibia) 2016 and won the Badwater 135 in 2017. NHK will also be following the battle of two firemen: Wong Ho Chung of Hong Kong and Vicente Juan Garcia Beneito of Spain, who raced against each other at the Namib Race, the first race of the 4 Deserts Ultramarathon Series in 2018. Other competitors which may be profiled include those who are aiming to complete the 4 Deserts Grand Slam (the entire 4 Deserts Ultramarathon Race Series in one calendar year) and a Mongolian competitor who currently lives in Dublin, Ireland. (5 May 2018, Swakopmund, Namibia). The overall winner, Vicente Garcia, was never able to relax over the seven-day footrace with both Wong Ho Chung of Hong Kong and Ollie Stoten of the United Kingdom close behind. 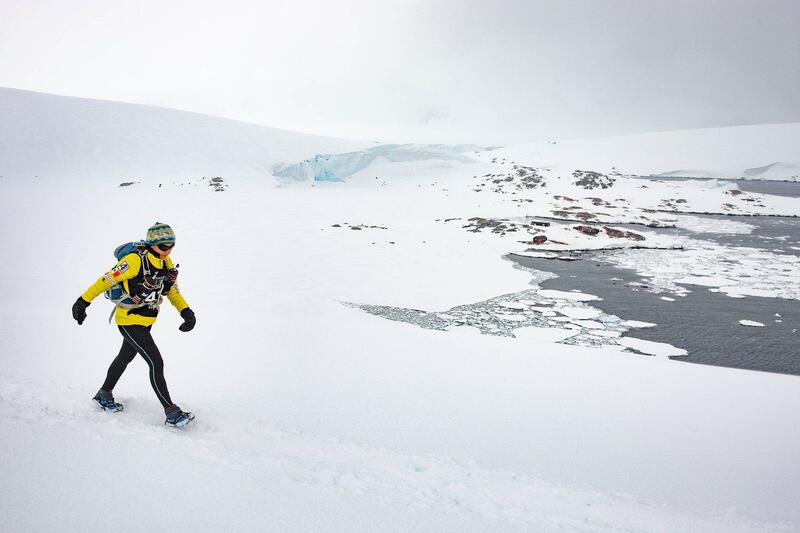 Ho Chung has deep ultra-running experience and Ollie recently completed a record-breaking crossing of Antarctica. Although both Wong and Stoten were new to the 4 Deserts Ultramarathon Series, they proved they have the grit and determination to win a race in the future. The women’s division winner, police officer Isabelle Sauve, was also experienced having completed the Atacama Crossing in 2016. She had no trouble taking first in the women’s division followed by Christina Khinast of Austria and Sandy Suckling of Australia. Suckling, a past champion and 4 Deserts Club member, said: "It’s amazing out here, people that are complete strangers are just there when you need them." Sandy finished third in the women’s division. Julia Guttridge of the United Kingdom was competing in honour of her late grandfather who was on one of the shipwrecks scattered along the Skeleton Coast, the MV Dunedin Start. Julie finished in 62nd place overall. Spirit Award recipient Soyoung Jekal of Korea suffered from cancer in her youth and made a promise to live life. Soyoung, who was raising money for a cancer foundation, finished in 79th place. Tingbo (“Tim”) Wu of the United States was competing in his final 4 Deserts race, with a goal of becoming a member of the 4 Deserts Club – only 66 in the world are members. Tim successfully finished the race in 74th place, collecting his 4 Deserts medal at the Awards banquet. Competitors from 40 nations competed in the self-supported race across the Namib Desert, with many competing to raise money for a charity or just to get away from their fast-paced lives. Competitors ran six stages over seven days totalling a distance of 257 kilometers (160 miles). Competitors had special permission to run along the Skeleton Coast and other areas deep within the Namib Desert. 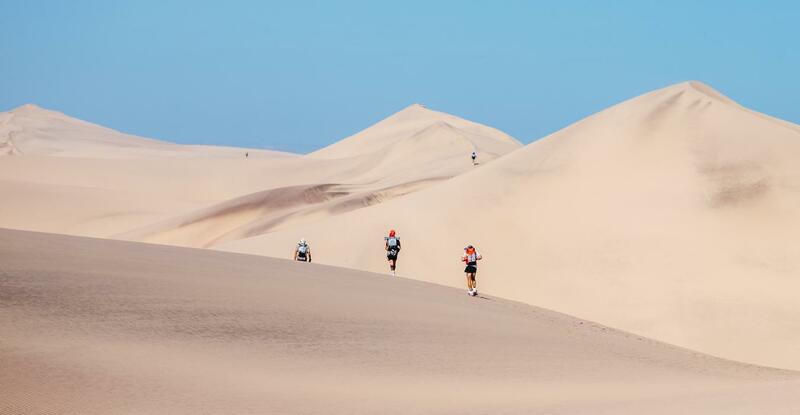 The Sahara Race was the first race in the 2018 4 Deserts Ultramarathon Series (“4 Deserts”) which takes place annually in four major deserts in the world: the Namib, the Gobi, the Atacama and Antarctica. Eighty one competitors completed the Sahara Race 2018 out of 88 starters. It’s been a week of challenges, achievements, celebrations, tears, intense heat, freezing nights, misty mornings, shipwrecks, springbok, hyenas and sand dunes in the heart of the Namib Desert, the oldest desert on Earth. Marisa Holman of the United States summed it up well: "The Namib Desert both takes from you, but also gives back. The sunsets are beautiful, and last night the moon was full and super bright. If I keep investing in Namibia, I know it will reward me." The next 4 Deserts race is the Gobi March in Mongolia which begins on 29 July 2018 and will feature 230 competitors from 50 countries. Fifty seven (57) races have been held since the series was established in 2002. Part of RacingThePlanet, the 4 Deserts Ultramarathon Series is a unique series of rough country footraces that take place over seven days and some 250 kilometers / 155 miles in remote and culturally rich locations around the world. 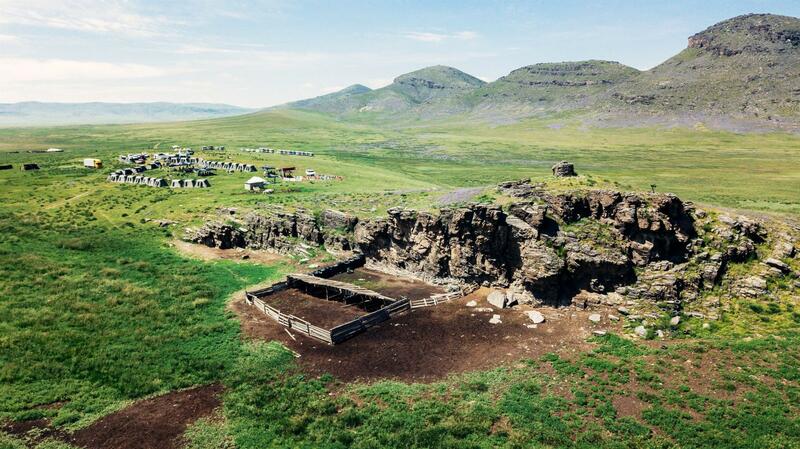 Competitors must carry all their own equipment and food, and are provided with water and a place in a tent each day. Competitors are supported by professional medical and operations teams. The 4 Deserts Ultramarathon Series is international, each race typically involves competitors from 50 countries who are able to mingle around the campfires and in their geographically mixed tents. The 4 Deserts Ultarmarathon Series encompasses the Atacama Crossing (Chile), Gobi March (China/Mongolia), Sahara Race (Egypt/Jordan/Namibia) and The Last Desert (Antarctica). There is also the RacingThePlanet Ultramarathon – a separate series which moves to a new location each year. The next RacingThePlanet Ultramarathon is RacingThePlanet: New Zealand in March 2019. The series, twice named by TIME magazine as one of the world’s Top 10 endurance competitions. [18 November 2017, Hong Kong]. RacingThePlanet is excited to announce that the 11th edition of the RacingThePlanet Ultramarathon will be held in the South Island region of New Zealand from 3 March – 9 March 2019. The South Island is renowned for its mountains, lakes and glaciers. In the southwest is Fiordland National Park with steep-sided Milford Sound. In the north is Abel Tasman National Park. There are few places in the world where, within the space of one day, you can experience mountain vistas, ancient forests, volcanic landscape and stunning coastline - all while spotting wildlife not found anywhere else on earth. The host town will be Queenstown, famous for its adventure sports. The RacingThePlanet Ultramarathon locations are carefully selected, with more than two years of scouting and planning going into staging the seven-day race. New Zealand has been a long-requested location for this not-to-be-repeated race location. 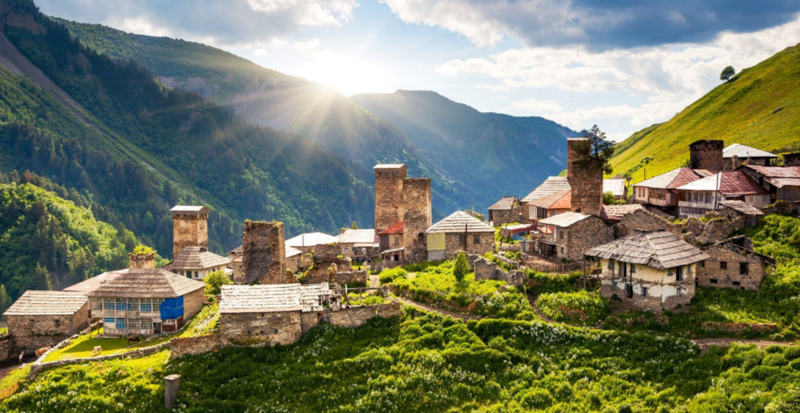 The locations are selected based on natural beauty and culture with certain infrastructure required to host the 200 competitors, and 100 staff and volunteers. This famed footrace has previously taken place in Vietnam, Namibia, Australia, Jordan, Nepal, Iceland, Madagascar, Ecuador, Sri Lanka and Patagonia. Around 200 competitors from 50 nations are expected to compete in this six-stage, 250-kilometer footrace. For further information on RacingThePlanet: New Zealand 2019, the RacingThePlanet Ultramarathon series or the 4 Deserts Race Series, email info@4deserts.com or visit our website at www.4deserts.com. [6 November 2017, Bariloche, Argentina]. 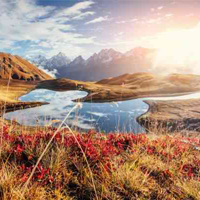 Competitors from six continents have begun arriving in the host town of Bariloche in the Patagonia region of Argentina for the tenth edition of the RacingThePlanet Ultramarathon. The RacingThePlanet Ultramarathon is a 250 kilometer (155 mile) footrace which takes place in six stages over seven days. Past locations of this famed footrace have taken place in Vietnam, Namibia, Australia, Jordan, Nepal, Iceland, Madagascar, Ecuador and Sri Lanka. Nearly 50 countries are represented in the race from far flung countries such as Bulgaria, China, Guatemala, Romania, Poland, Sweden and Uruguay, among others. The countries most represented in this year’s race include the United States, the United Kingdom, Australia and Japan. Approximately 30 percent of the field are female. The overall field of competition is deep and includes Ralph Crowley (United States), Mads Persson, (Denmark), Iulian Rotariu (Romania) and Neil Weir (Ireland) among a number of other fast participants. On the women’s side, the field is equally impressive with Luisa Balsamo (Italy), Chizuru Inoue (Japan), Magdalene Paschke, (Germany), Lara Reynolds (Denmark resident in Hong Kong) and Sarah Sawyer (United Kingdom) all favoured to take a place at the podium. Many veterans of the 4 Deserts Race Series / RacingThePlanet will be taking part, with thirty-four 4 Deserts Club members, including four 4 Deserts Grand Slam Plus members and two 4 Deserts Grand Slam members! To become a member of the 4 Deserts Club requires competitors to have successfully completed all four ultramarathons in the 4 Deserts Race Series. We are excited to again welcome the infamous Iranian dentist Ash “Ashacama” Mokhtari who is joining his twenty-second 4 Deserts Race Series / RacingThePlanet Ultramarathon – just off the back of his ninth consecutive Atacama Crossing! After completing RacingThePlanet: Patagonia, Ash will hold the record of completing the most races in the 4 Deserts Race Series / RacingThePlanet Ultramarathon series. In addition, returning to make sure he completes ALL RacingThePlanet Ultramarathons is Yoshiaki Ishihara, 72 years old, from Japan – who is joining his fifteenth race in the 4 Deserts Race Series / RacingThePlanet Ultramarathon series. Christopher Lewis, originally from Wales but now resident in Japan, will also be competing having successfully completed the 4 Deserts Race Series and all previous RacingThePlanet Ultramarathons. There are a total of five teams competing for a top place in the race, and each representing a different part of the world: Team Huey, Dewey and Lewey from the United States; Team Hell on Heels from Canada and the United States; Team Hundred Flowers from Japan; Team DigLife with members representing Hong Kong, USA, Uruguay; and Team The Inconceivables -- this is their second race as a team, winning the team category in RacingThePlanet: Ecuador 2015 with family members representing the United Kingdom, Scotland and Australia. Live website coverage will be available via satellite at www.4deserts.com/beyond/patagonia/live beginning on Saturday, 11 November and concluding on Saturday, 18 November 2017. Breaking news, photos, videos, stage updates, features and results will be posted throughout each day. Social media, including Facebook, Instagram, Twitter and Youtube, will also be updated during each day. For further information on RacingThePlanet: Patagonia 2017, the RacingThePlanet Ultramarathon series or the 4 Deserts Race Series, email info@4deserts.com or visit our website at www.4deserts.com. Eight countries and two women make up the Atacama Crossing 2017 Top 10; Zandy Mangold from the United States and Angela Zaeh from Germany were the overall champions. [8 October 2017 SAN PEDRO, CHILE]. 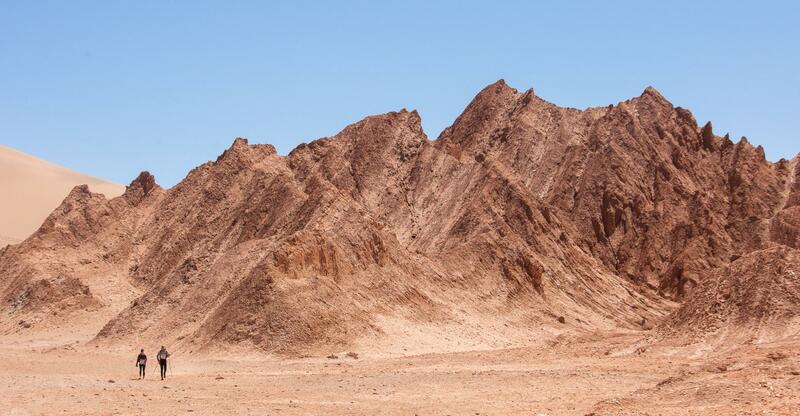 After seven gruelling days in the world's driest desert, runners from across the globe completed the Atacama Crossing. Zandy Mangold (United States) and Angela Zaeh (Germany) won every stage and were unstoppable throughout the race. They claimed the crowns with a comfortable margin. Six countries were represented by the six podium finishers - a truly international race. There were also three British runners in the top ten, including Ben Fox who came third. The atmosphere was electric in San Pedro Square when competitors crossed the final finish line after completing the last stage of 8kms / 5 miles. Vladmi dos Santos – the blind competitor from Brazil finished an impressive 42nd place in 48 hours and 34 minutes. At the Awards Banquet, competitors, staff and friends all celebrated a tough but amazing week in the most beautiful desert in South America. Awards were presented to the overall Top 3, team category winner who was Xiamen University from China and the Age Group winners. Special awards for Spirit and Sportsmanship were presented to Kim & Jerry Bueno from the United and Aniceto de Almeida – the guide of blind competitor Vladmi dos Santos, respectively. Seven people joined the 4 Deserts Club when they crossed the final finish line in San Pedro. This means they have now completed all the 4 Deserts Races – and were also awarded their 4 Deserts medal. This includes Kathia Rached who is the first Arab woman to complete all 4 Deserts. Invitations to The Last Desert (Antarctica) were also presented to those who are now qualified for this prestigious race having completed two of the 4 Deserts.